A solution for restaurants and chains for managing delivery, tracking orders and drivers while delighting customers with a transparent delivery experience. 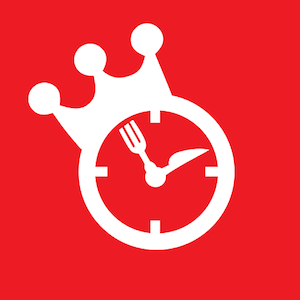 Lightspeed and Orderlord integrate to help restaurants to boost customer retention by minimizing late orders, strengthen loyalty thanks to a more consistent service and increase order frequency through a great customer experience. Orderlord is helping restaurants to get full control over their delivery service. The solution improves the reliability of delivery and boosts the customer experience while reducing costs thanks to a more efficient process. With order tracking and real time order updates for the whole team as well as customers you can boost your brand, reduce late deliveries and increase order frequency. The solution consists of 3 parts covering every step in the delivery process. Providing an overview of all orders from every source (phone, web, app, platforms) in a one place with all the info needed to make better decisions in routing and dispatching. Optimize delivery routes and ensure that every order gets to customer on time with status updates each step of the way. Delivery guys get all the information they need about every order in their delivery. With the app they can find the quickest way to customer, they don’t need to retype numbers to call and can notify with one click customers if they are running late. Customers get a message with a link that allows them to follow the status and progress of their order, helping them to manage their expectations and time while waiting. Automatic updates inform them of any change in order status or delivery time so there is no need to call up the restaurant. See all your incoming orders from all sources in one dashboard. 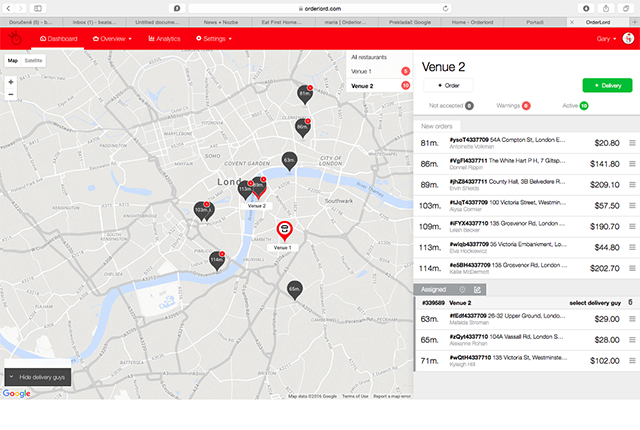 Plan more efficiently according to location, delivery time and driver availability. Get a real-time overview and with automatic messaging keep your customers updated and happy. Use our analytics to help you identify opportunities and possible bottlenecks of you delivery and team.